Following on from my recent dalliance with historical literature, here's the latest review. 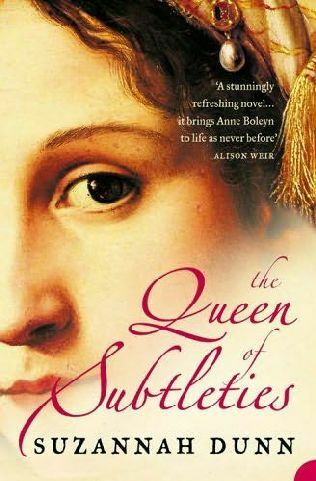 Recommended by my friend after I enjoyed Philippa Gregory's Red and White Queens, The Queen of Subtleties is an altogether different proposition. Suzannah Dunn juxtaposes two lives in the Royal household of Henry VIII: that of his confectioner, Lucy Cornwallis, and of his soon-to-be second wife, Anne Boleyn. The difference here is that Dunn deliberately uses a modern venacular with her characters. The parallel drawn between unrequited and requited love is clever. But I couldn't help thinking that the link between the two women is tenuous and a little contrived. However, Dunn gets into her stride later in the book. I particularly liked the later life of Anne and her utter lack of self-awareness. Different to Gregory, flashes of greatness, but a little underwhelming.